We have FINALLY rounded off our footwear range with Ziera footwear. 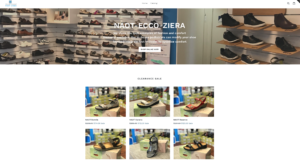 Offering women Ziera alongside ECCO and NAOT shoes is an exciting update for our shoe store as we truly believe we now have something for everyone. As with the ECCO and NAOT brands, Ziera is a world leader in producing premium fashion and comfortable footwear. Please pop down and visit our store in Mount Martha or check out the range online (our Ziera range will be available on our on-line store from Tuesday 13th March).